Actress Sumalata, wife of late actor and politician M H Ambareesh, popularly called 'Rebel Star' in Sandalwood, has confirmed her entry into politics through the Mandya Lok Sabha constituency. She announced that she will contest in the Lok Sabha election from the Mandya Lok Sabha constituency as an independent candidate. 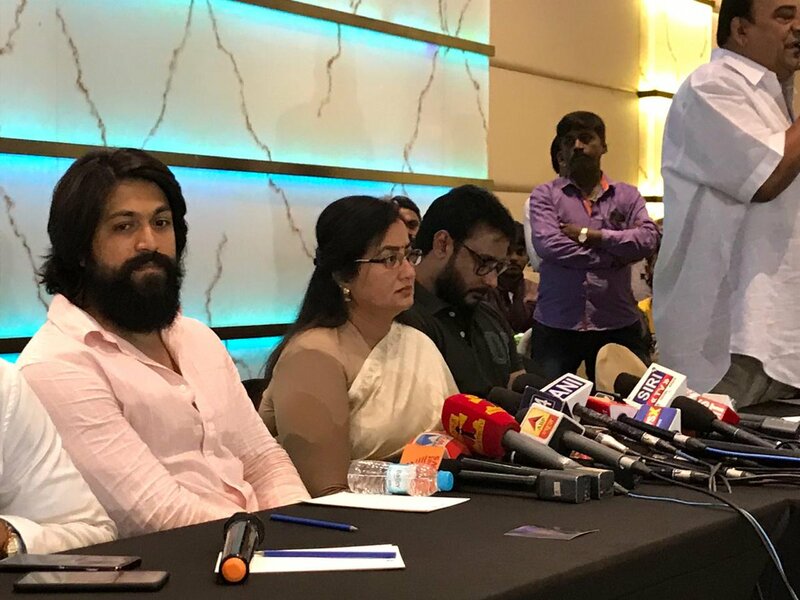 Addressing a press meet in the city along with Challenging Star Darshan and Rocking Star Yash, she stated that she will file her nomination papers on March 20. She will face the challenge from coalition candidate Nikil Kumaraswamy, son of CM HD Kumaraswamy. Congress local leaders are expected to rally behind Sumalata and the BJP may consider extending external support by not fielding its candidate. Her press meet was emotionally charged. With Darshan and Yash by her side, Sumalata expressed confidence of winning. "I had options. One is living a luxurious life with Abhi, another is realizing the dreams. The second option is not an easy one, but I chose it, " she said. "Whole Kannada film industry is rallying behind me. Rockline Venkatesh said he will always stand by me. Darshan and Yash are like my children. There is no question of backing out," she said. Declining to react to JDS leaders' verbal attack on her, she stated that she is living a dream political debut. "I want to follow the transparent political principles," she said. "Mandya people want me to contest. I wanted to contest as a Congress candidate. But as there is no such opportunity I am contesting as an independent," she said. Several actors, including Rockline Venkatesh, Doddanna, Jai Jagadish and others were present at the press meet.